The Designed-In Dangers of The American Automobile. 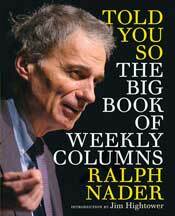 Ralph Nader’s book Unsafe at Any Speed is number 21 on the list! Unsafe at Any Speed was published in 1965. It is Ralph’s first book. 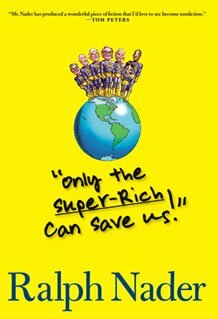 And it was the book that launched the modern consumer movement. 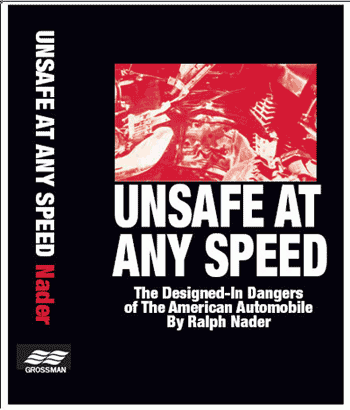 You can purchase the beautiful hardcover commemorative edition of Unsafe at Any Speed – the American classic that saved hundreds of thousands of lives — autographed by Ralph for $100. 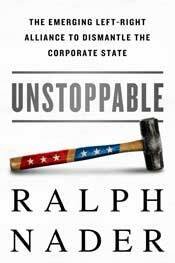 You will get a wonderful book, and your $100 dollars will help the Center for Study of Responsive Law, the organization that Ralph founded to keep fighting to make corporations and our government more accountable.